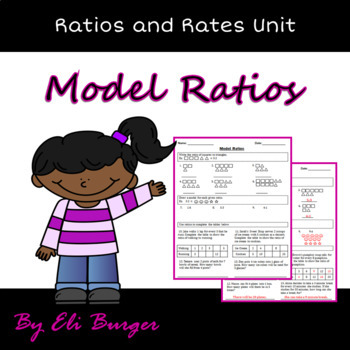 This product includes 2 worksheets on modeling ratios. 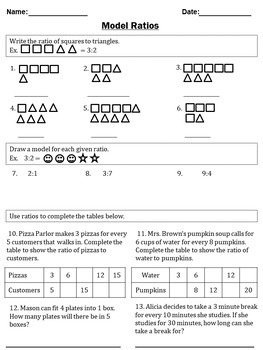 Each worksheet includes 9 questions on understanding or drawing ratio models and 4 word problems, 2 with tables and two without. If you are using the Go Math series, this product accompanies Chapter 4, Lesson 1. These worksheets will be a part of my upcoming Ratios and Rates Unit Bundle. To see my other math products, check out my store. Thanks for looking at my product! 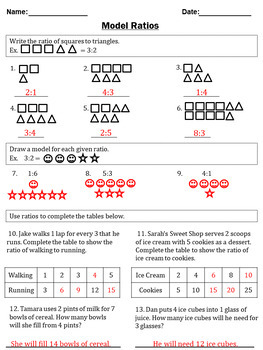 Graphics from Sticky Foot Studio and Teaches Third in Georgia.